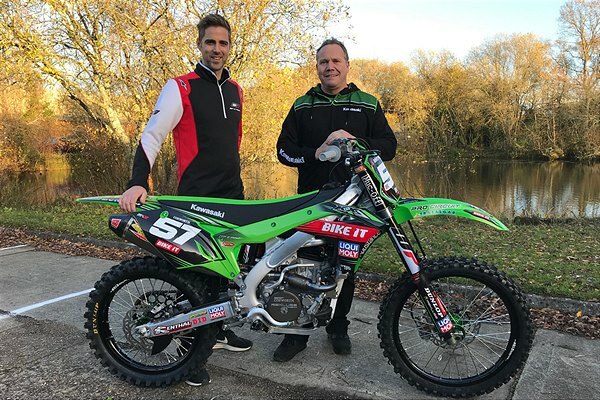 Bike It Dixon Kawasaki Racing team will race in 2019 with official support from WP Suspension. Bike It Dixon Kawasaki Racing team will race in 2019 with official support from WP Suspension. The Kawasaki Europe-supported MX2 team’s Kawasaki KX 250 will be fitted with WP 48mm Cone Valve forks and Trax Shock from the Pro Component range for the FIM Motocross World Championship. Darian Sanayei will be the team’s lead rider in 2019. The American has claimed several EMX250 Championship race wins and was on the podium in early in 2018 in his second MX2 season. Later, unfortunately, he was side-lined with an ACL injury for the rest of the season. WP is at the forefront of suspension technology, delivering race-winning technology to riders and teams in a wide range of competitions. Racers using WP Suspension regularly score impressive victories in Motocross and Supercross, Enduro and Rally, in Superbike and in every class of MotoGP. This broad competition experience is reflected in WP’s state-of-the-art products, and in the company’s aftermarket and OEM markets. Sanayei will line up alongside Brazilian Gustavo Pessoa at the first round of the FIM Motocross World Championship in Argentina on Sunday, 3rd March. I’m happy to announce the Bike It Dixon Kawasaki Racing Team will be using the WP Pro Component range for the 2019 MXGP season. Motocross riders will know that WP makes suspension for KTM and Husqvarna Motorcycles, but many don’t realise it’s also available for other major off-road brands and models. We wanted to showcase the performance of our products on a Japanese model, and Steve’s team is one of the best options for us to do this. They will use the 48mm Cone Valve Forks and Trax shock. Steve runs a professional outfit, he always pushes for innovation and performance, and this fits well with our brand values. Steve has run one of the most successful privateer teams in the MXGP paddock for the last 20 years. With Darian staying with Dixon Kawasaki Racing for another year, I believe there is a lot of potential for success for both the team and WP suspension. We are proud to be working with a team that has a diverse range of riders, which reflects an international demographic. There are many positives of DRT joining forces with WP Suspension this year, including the fact that it is the largest supplier of Factory material in MXGP. There are more WP Suspension engineers at the track than any other brand, so a lot of information filters back to the WP factory. Although the rider’s information won’t be shared as such, the engineers will be able to adjust the settings accordingly to aid the rider. We are a technical team that enjoy pushing ahead so as a result, we enjoy technical partnerships. When we got approached by Gareth it was already a positive relationship for us as we knew Gareth had worked for Kawasaki and that he knew the GP circuit and what’s required. This gave me confidence as I will be working alongside someone who will push my corner in the WP group. It can only be a positive move overall which will help WP Suspension expand into the Japanese market. The Kawasaki Europe-supported MX2 team’s Kawasaki KX 250 will be fitted with WP 48mm Cone Valve forks and Trax Shock from the Pro Component range for the FIM Motocross World Championship.